Trump has been railing against presidents past, accusing them of an inexcusable failure to solve the nuclear threat emanating from the North. But Tuesday proved he appeared far weaker than even his predecessors’ failed deals. 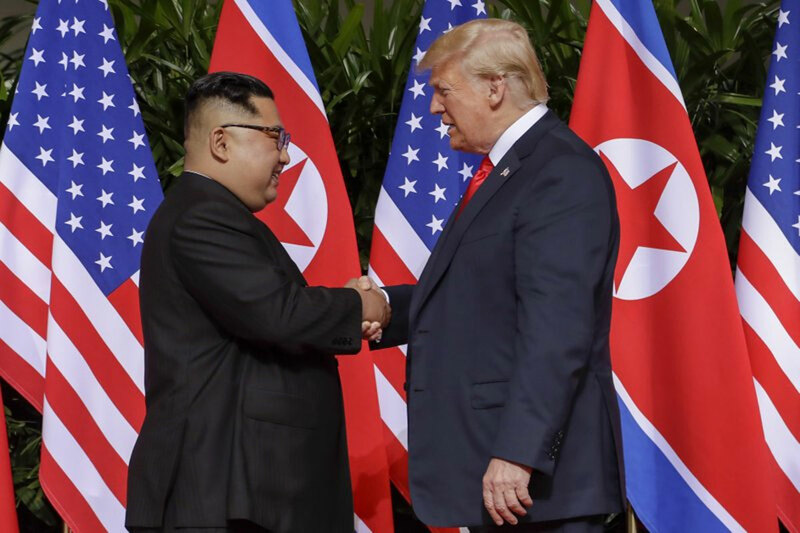 After all the hype, all the vows to tackle what’s perhaps the world’s most urgent crisis, President Donald Trump and North Korean leader Kim Jong Un fell short of the kind of deal the U.S. president himself has long said is needed to settle the North’s decadeslong pursuit of nuclear weapons. Rather than a detailed statement filled with concrete restraints on the North, the document seemed to amount mostly to a restatement of long-assumed principles and an agreement to keep talking. 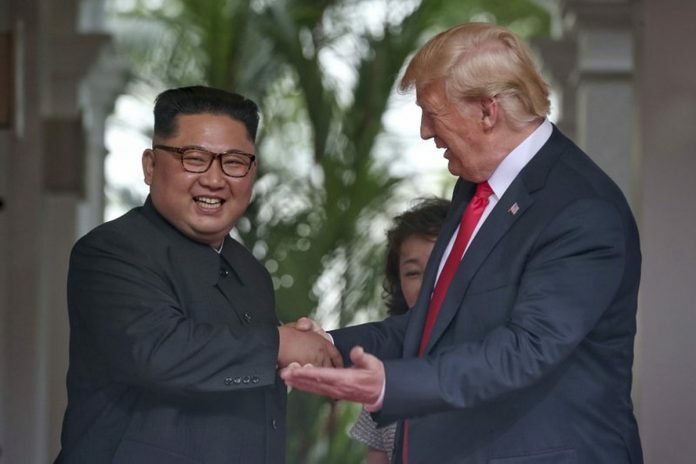 And Trump made dramatic on-the-spot concessions to Kim that his own advisers had urged him against, including a halt on “provocative” U.S.-South Korea military exercises and an admission he could be willing to withdraw U.S. troops from South Korea in the future. There was irony in the fact that Trump and Kim made direct reference in their agreement to the so-called Panmunjom Declaration between Moon and Kim, with its weak, reheated commitment to denuclearization that lacked specifics at how the rivals would get there. Similarly, there was nothing specific on nukes in Tuesday’s declaration — and no joint affirmation of the goal of “complete, verifiable and irreversible” dismantlement that Trump’s aides had previously made the litmus test for success. President Bill Clinton reached an aid-for-disarmament deal in 1994 that halted North Korea’s plutonium production for eight years, halting growth in what was then a very small atomic arsenal. In his final months in office, he also contemplated a summit with then-North Korean leader Kim Jong Il — Kim Jong Un’s father — as the two sides negotiated on also limiting the North’s missile program but ran out of time in office. George W. Bush took a tougher stance toward North Korea, and the 1994 nuclear deal collapsed amid suspicions that the North was running a secret uranium program. But Bush, too, ultimately pursued negotiations. That led to a temporary disabling of some nuclear facilities, but talks collapsed because of differences over verification.